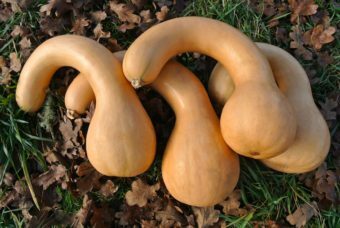 Very sweet and reliable winter squash. 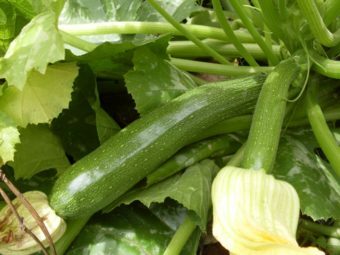 Unlike its sister variety, Sugar Loaf, Honey Boat is long and less plump, similar to a regular delicata but with copper skin. Certainly among the sweetest winter squash we have grown. 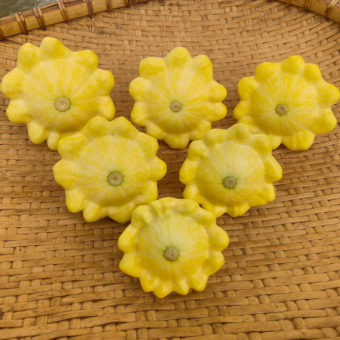 We have found it to hold its sweetness longer into winter storage than yellow delicata types. 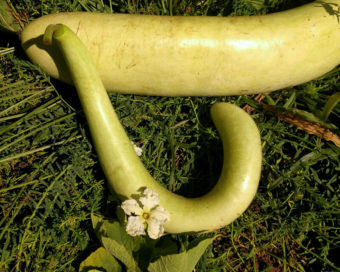 Larger seed cavity makes this squash ideal for stuffing and making delicata “boats.” Some of the commercial sources of Honey Boat are variable. We are trying to clean it up a bit and return it to its former glory. Bred by Dr. James Baggett at Oregon State University. Seed supplied by Alan Adesse in Junction City, Oregon.